SRTMGL1 coverage now includes Africa, Europe, North America, South America, Asia, and Australia in 1° X 1° tiles at 1 arc second (about 30 meters) resolution. The Land Processes Distributed Active Archive Center (LP DAAC) recently released additional tiles in the NASA SRTM Version 3.0 Global 1 arc second dataset (SRTMGL1), to include coverage over Asia and Australia. This coincides with the newly processed areas released by the United States Geological Survey (USGS) on January 2, 2015 available through EarthExplorer. The NASA SRTM obtained elevation data on a near-global scale using radar interferometry. 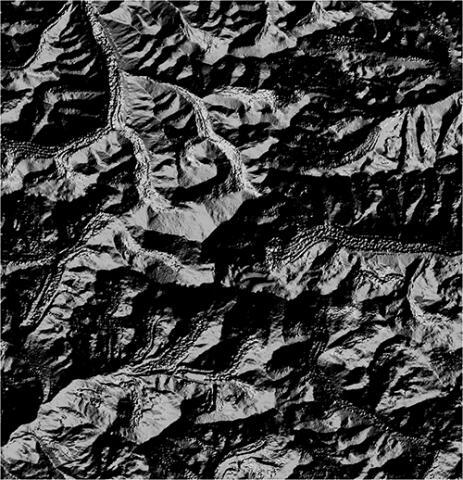 The NASA Version 3.0 SRTM Global 1 arc second product is void-filled using elevation data from Advanced Spaceborne Thermal Emission and Reflection Radiometer (ASTER) Global Digital Elevation Model 2 (GDEM2), USGS Global Multi-resolution Terrain Elevation Data (GMTED) 2010, and USGS National Elevation Dataset (NED). For detailed information regarding SRTM, please see the SRTM User Guide. This is the third release in the series providing access to additional NASA SRTM Version 3.0 Global 1 arc second (SRTMGL1) data coinciding with areas released by the USGS. The data are available for download via Earthdata Search, the LP DAAC Data Pool and the Global Data Explorer (GDEx). For further information, contact LP DAAC User Services.